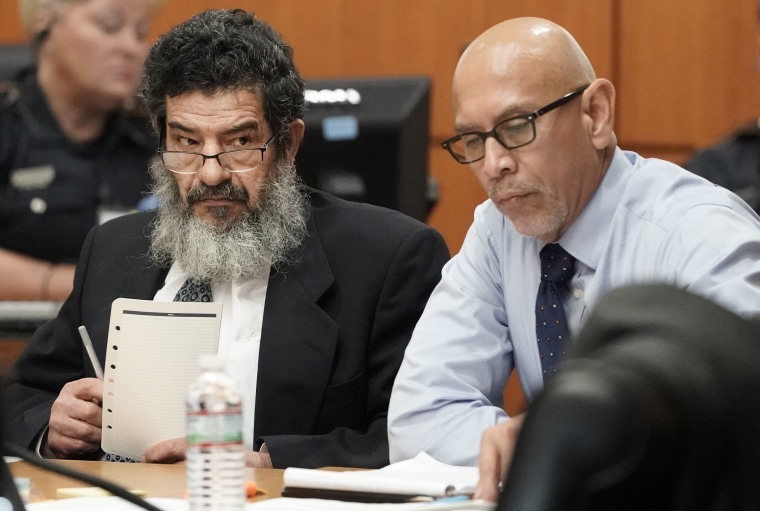 Ali Mahwood-Awad Irsan was found guilty of capital murder in fatal shootings of his son-in-law and his daughter's best friend. HOUSTON — A Jordanian immigrant was sentenced to death on Tuesday after being convicted in what prosecutors described as the honor killings of his daughter's American husband and an Iranian women's rights activist in Texas. Ali Mahwood-Awad Irsan was found guilty of capital murder last month in the 2012 fatal shootings of his son-in-law, Coty Beavers, and his daughter's best friend, Gelareh Bagherzadeh. Jurors in Houston deliberated for just 35 minutes — after five weeks of testimony — before reaching the verdict , and the sentencing phase of the trial took another two weeks. Prosecutors say the 60-year-old conservative Muslim became enraged after his daughter, Nesreen Irsan, married Beavers, a 28-year-old Christian, and converted to Christianity. Investigators said Bagherzadeh had encouraged Nesreen Irsan to marry Beavers. Irsan's wife, Shmou Alrawabdeh, testified at trial that her husband tried to "clean his honor" with the killings. Police said Irsan, his wife and their son, Nasim, followed Bagherzadeh to her parents' home in January 2012, and that Nasim Isran shot her in her car. Nasim Irsan is awaiting trial on a capital murder charge in the two killings. Eleven months later, Ali Mahwood-Awad Irsan slipped into Beavers' unlocked apartment near Houston, waited for his daughter to leave for work, then shot his son-in-law, according to Alrawabdeh, who testified as part of a plea agreement with prosecutors. Irsan portrayed himself as a devoted father who became upset after his daughter ran away from home. At trial, Irsan told jurors that he wasn't involved in the deaths. He said his daughter had caused his family pain by marrying Beavers. The daughter, Nesreen Irsan, testified that she had to obtain a protective order to prevent her family from harassing her after she moved out. Alrawabdeh told jurors that her husband had also planned to kill his daughter. Irsan, who is a naturalized U.S. citizen, was sentenced to federal prison in 2015 for scamming the Social Security Administration.